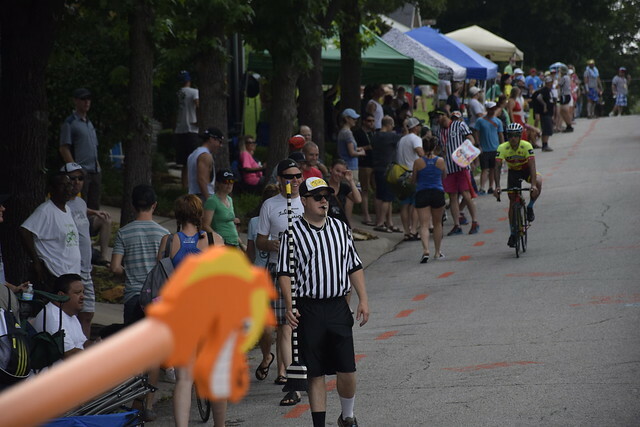 In amongst (amongst is a word in Oklahoma by the way) the party a bike race breaks out. 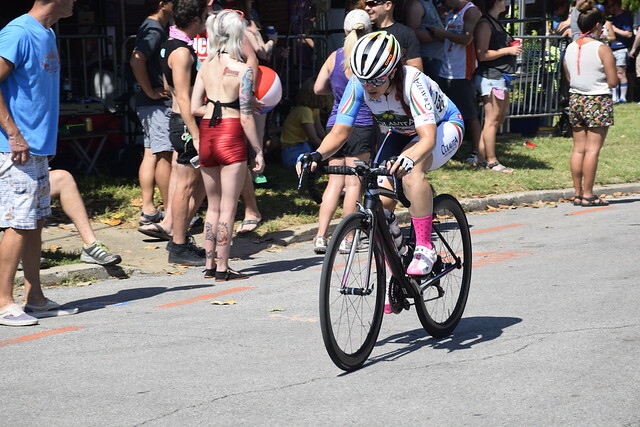 It is Tulsa Tough. A three days series of bike rides and races for everybody from Sunday cruisers like me to top professionals around the world. They have it in early June every year and it is generally sweltering. 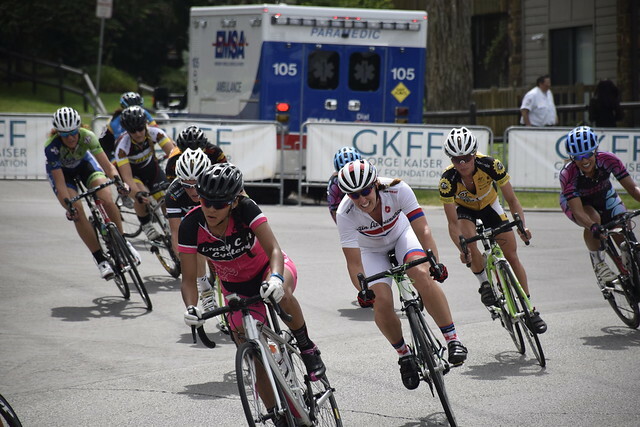 Tulsa Tough is sponsored by Saint Francis Hospital, a local Catholic Hospital Medical System. The last day of the race is the most popular. The races all criterium style which means that they go round and around the same short course multiple times. The last day’s though is brutal. 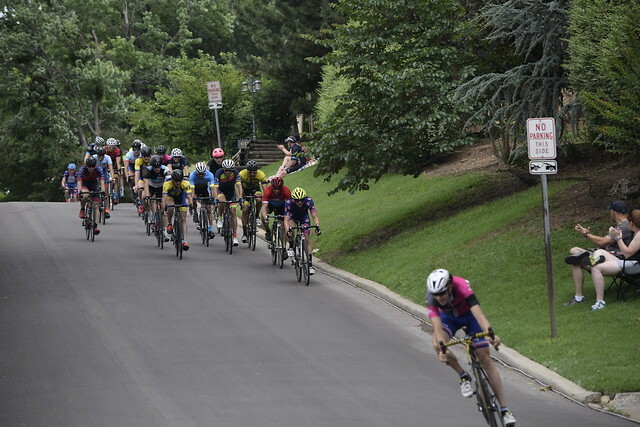 You start by the river and climb up a very steep hill then you come down off the hill and at the bottom you have to make a very sharp 120 degree turn and most of these guys/gals don’t appear to use their brakes at all so there are some spectacular bike crashes. So down on the river is where the races start, and the top is where the party is. It appears to get a little bigger and a little wilder every year. Couple that with no parking, very few sidewalks and the crowd and the races get very close to each other. They have painted the race lanes in bright colors and there is an army of volunteers who are constantly yelling, “mind the gap.” The race lane area. 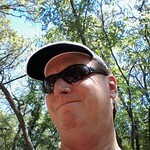 So I went out and made a lap of the course with my camera, walking and with the heat it about killed me. I cannot imagine riding the course up to nine times or so. 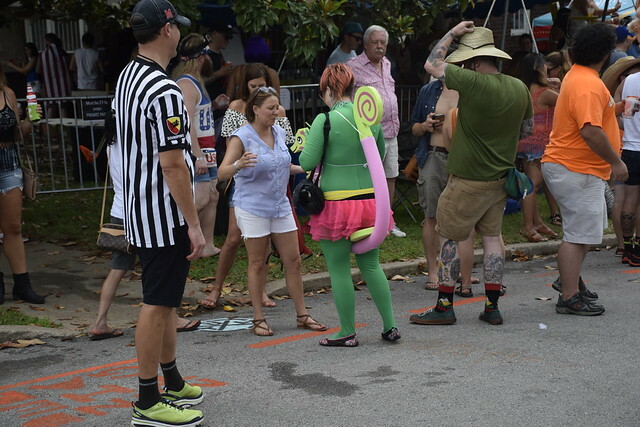 I love the contrast, the party with people getting drunk, and laughing and having a good time, and a high stakes race in the brutal heat and humidity. 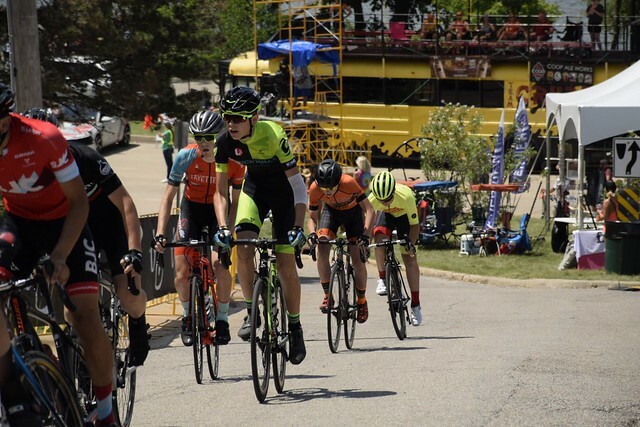 This entry was posted in Our World Tuesday and tagged Bike Racing, Criterium Racing, Cry Baby Hill, Oklahoma, Our World Tuesday, Tulsa, Tulsa Tough on June 10, 2018 by Alan Bates. 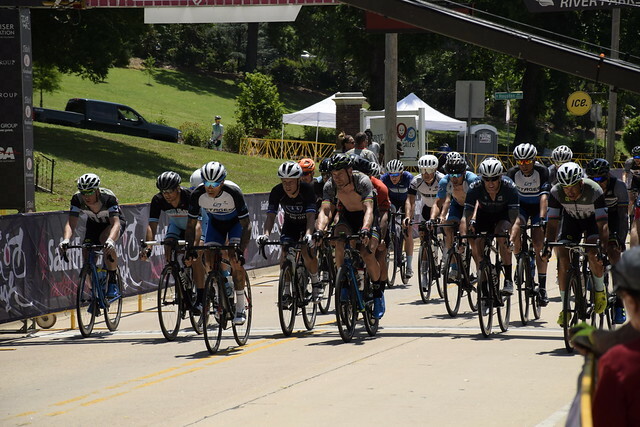 This past weekend was the annual Tulsa Tough bicycle racing festival. 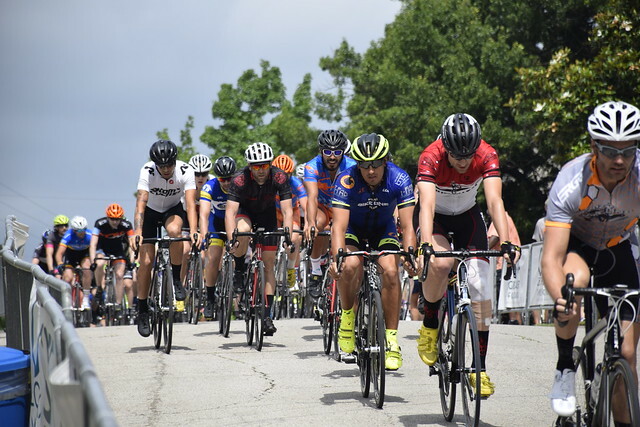 A collection of bicycle races and other events over the course of three days. 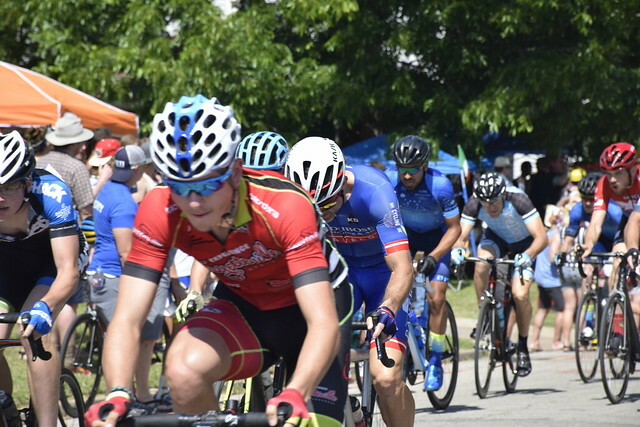 The popular events are the Crit Races or Criterium Races which are races over a relatively short loop with multiple laps. 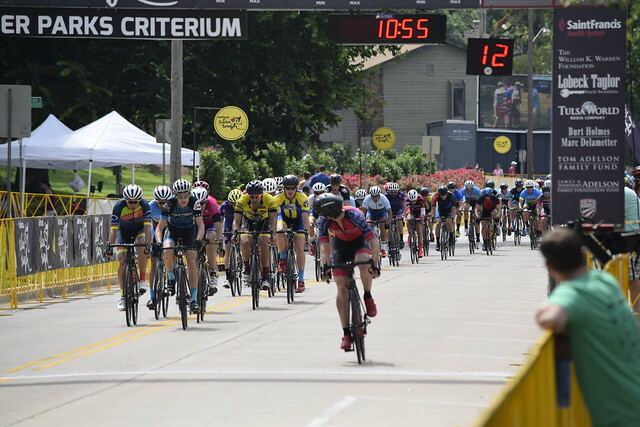 The first two crit races are close to downtown and Sunday is the day for the River Parks Criterium which features a loop that includes a steep hill and a very sharp turn onto Riverside Drive coming off the hill. 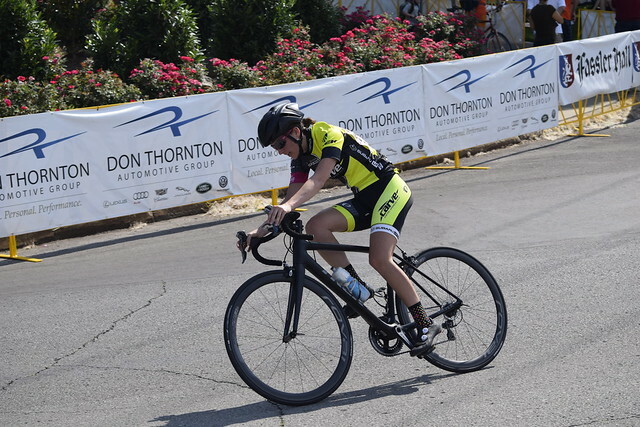 Tulsa Tough also has longer road races, called Gran Fondos, and for posers like me they have a short Townie Ride. I was going to do it this year but maybe next!! 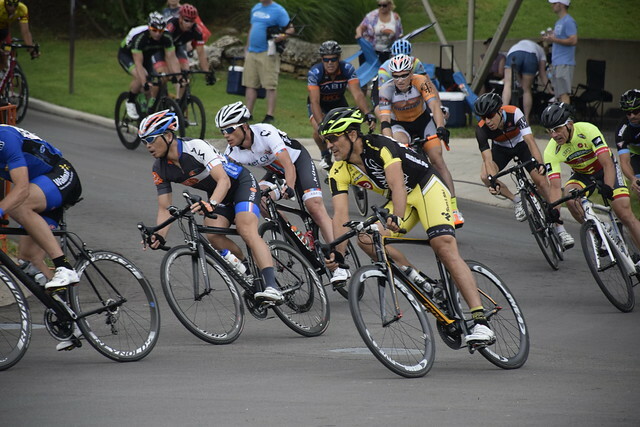 I attended the River Parks Criterium again. For fans it is like two different races. Down on Riverside drive there is a long straightaway and corporate hospitality tents and everything is very calm and sedate. Above shows the high speed sharp turn off the hill back onto Riverside. 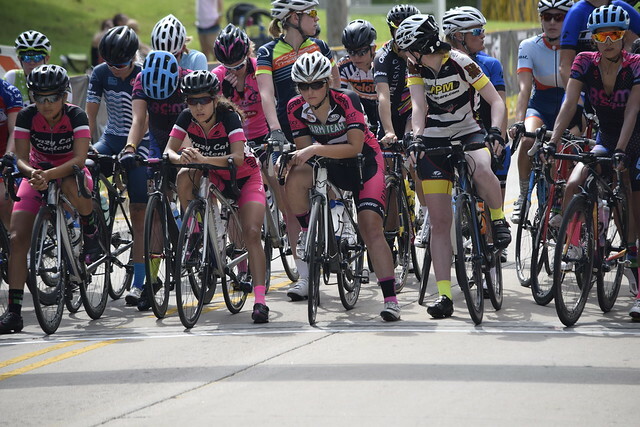 Lots of crashes happen here as the riders are bunched up, turning, and braking to get back on the long straightaway. This tent is close to the sharp turn onto Riverside. 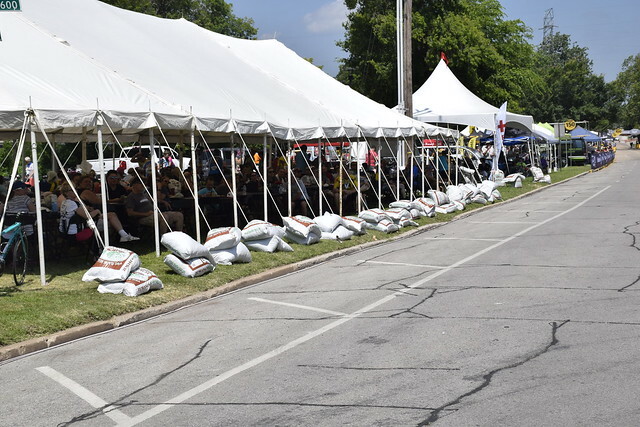 The bags of mulch are to protect the riders who lose control of their bikes and crash into the tent. See the Red Cross flag at the far right. I was standing there when one of the medics told me. “Hey Dude, do what you want but we put the medic tent for a reason, when they lose control off the hill they land right here, so if you stay, be alert.” So I moved. 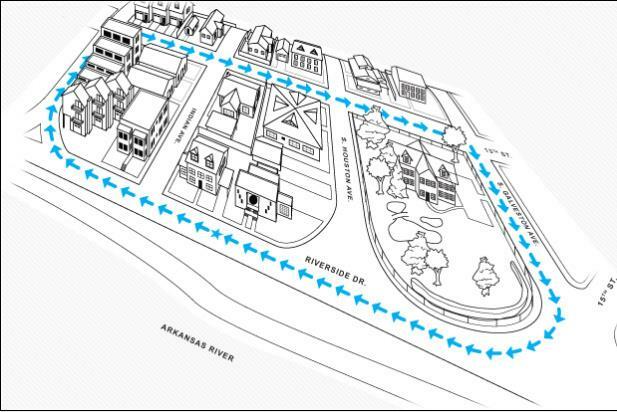 Riverside Drive is where the Starting Line is and everybody stays pretty mellow. At the top of the hill on the other section of the course is Crybaby Hill. The course is a relatively narrow residential street and and this where things get interesting. 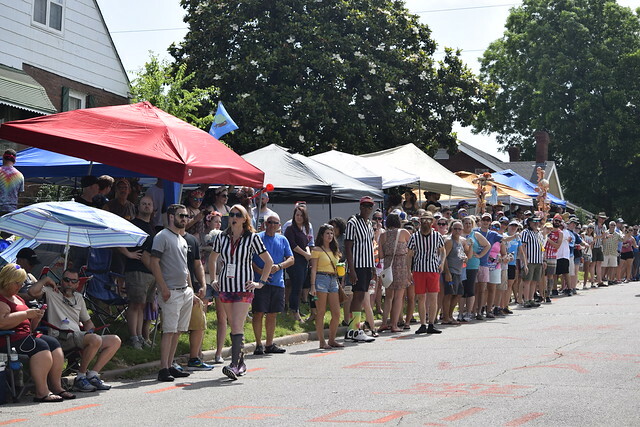 The races are going all out to get up the hill and the fans are there yelling at them and ringing cowbells and having a good time. 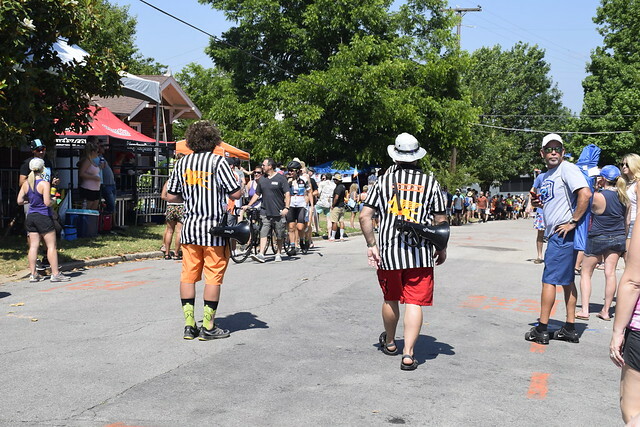 There have enough people that they have the people in the referee shirts above who are charged with keeping a lane open for the racers. “Minding the Gap” they call it. I always get there kind of early and leave kind of early so I’ve never seen the party in full tilt. When I’m there you have people getting warmed up for the party. The racers are working very hard though. They come from all over the US and overseas to compete. The popularity of the event is growing rapidly and it really is a Tulsa happening. Especially Crybaby Hill. Below is a short video of the racers coming through. I would be good for one loop but these guys and gals do it over and over. 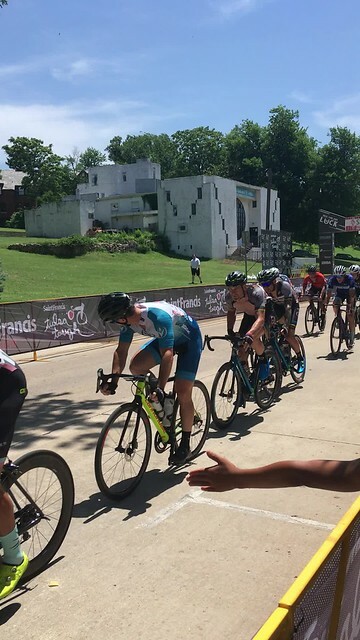 This entry was posted in Tulsa and tagged Bicycle Races, Crit Races, Criterium Races, Crybaby Hill, Oklahoma, Tulsa, Tulsa Tough on June 13, 2017 by Alan Bates. 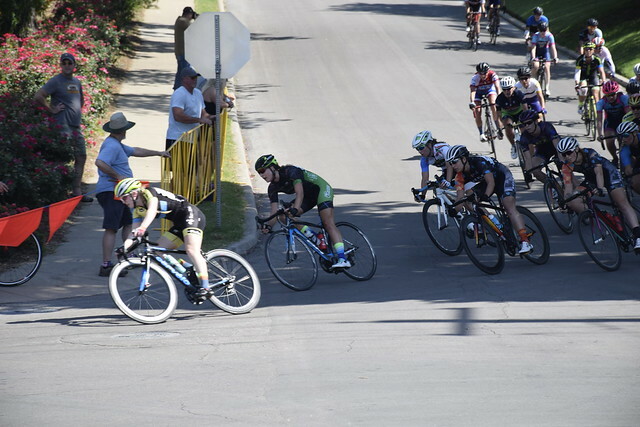 Sunday morning I ventured down to the Tulsa River Parks to watch the River Parks Criterium segment of Tulsa Tough. 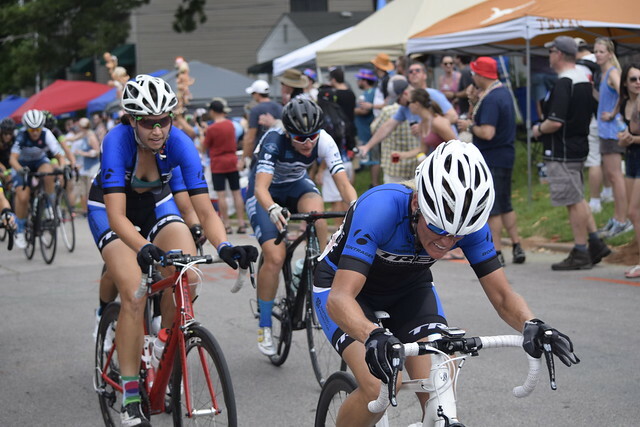 Tulsa Tough is a three day series of races of all kinds here in Tulsa. 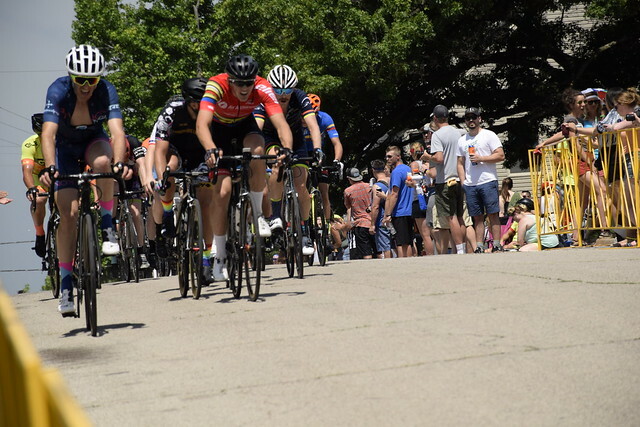 The River Parks Criterium is a short cycle race that loops from river level up a steep hill overlooking the river and then back down to the river via a 120 degree hard right turn at high speed at the base of the hill. And then they do it again, and again. It is brutal. There are about fourteen races in all on this course lasting about a half hour each. This is where they head up the hill, and they are just flying. Not only are they going fast, they are going fast while being close together. If one guy or gal goes down then the risk is high that others are going down also. It looks nerve wracking to me. 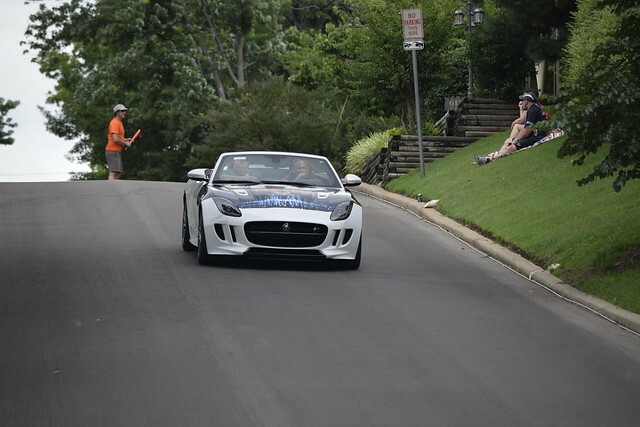 They alternated the pace cars. This one was a Jaguar. They run a couple hundred yards ahead along with a motorcycle to alert everybody to get out of the way. The races are very exciting. The riders are concentrating hard. At the of the hill is Cry Baby Hill. It is kind of wild. It is in a residential area with not many sidewalks so you have to stand in the street. The residents have parties in their front yard. It is quite the party. I left about noon so I think I missed the peak of the madness. 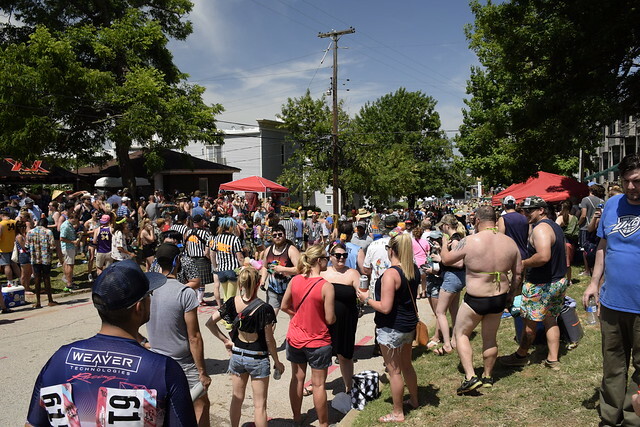 Everybody is there to cheer on the riders and spray water and beer on them. There are marshalls in zebra shirts with whistles and flags to keep the crowd behind the line. I guess this guy lost his shirt or something. Lots of cowbells and a band cheer the riders on. 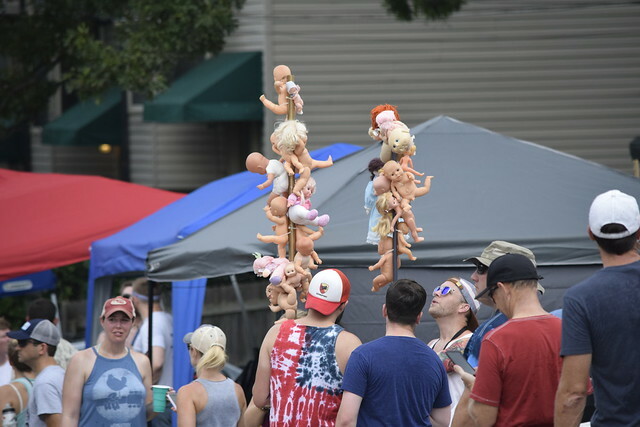 And toy baby dolls if you didn’t bring one. It is quite the spectacle. As I left people were still piling in. And the races were still going on. 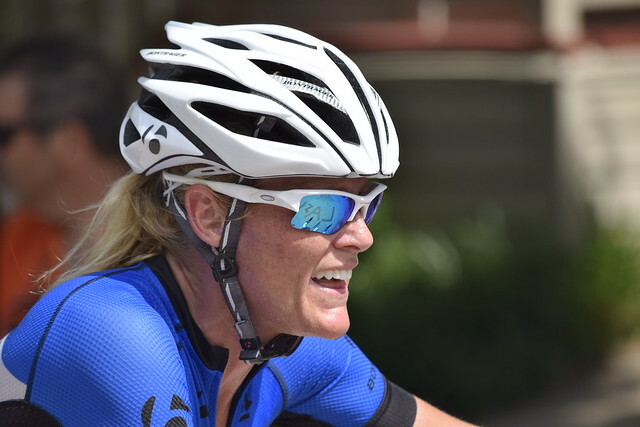 Addendum #1 Not my video – a collection of crashes from Tulsa Tough. 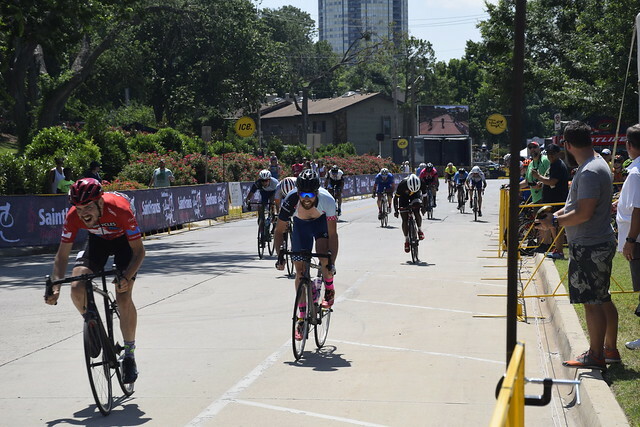 This entry was posted in Our World Tuesday and tagged Bicycle Races, Crybaby Hill, Oklahoma, Our World Tuesday, River Parks Criterium, Tulsa, Tulsa Tough on June 12, 2016 by Alan Bates. 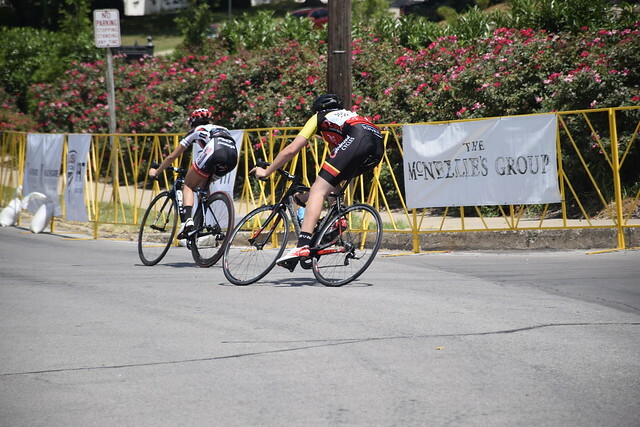 I finally made it to a Tulsa Tough Bike Race and Crybaby Hill today (Sunday). I’ve missed out in past years but this was my year. 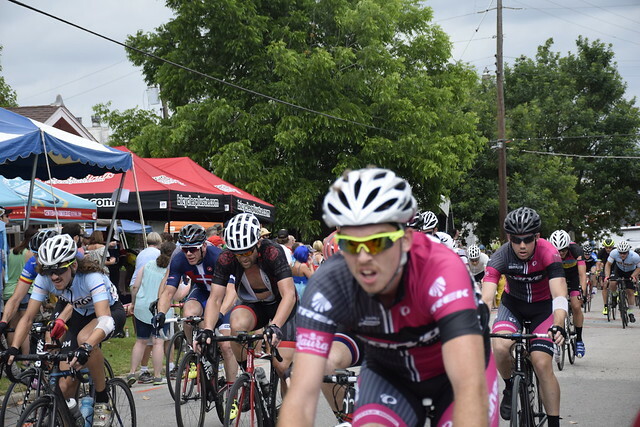 Tulsa Tough is a series of bike races held in Tulsa every June. It has grown and grown. 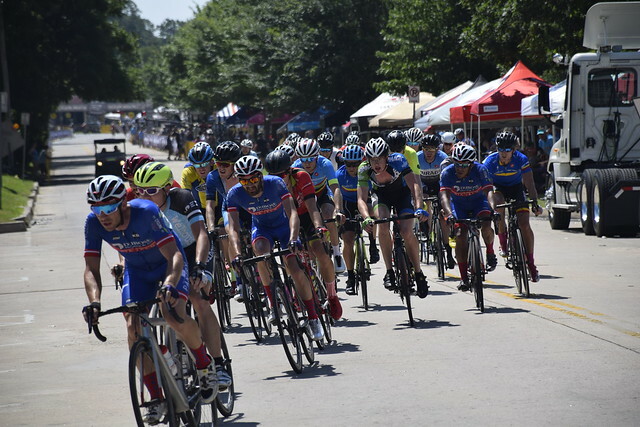 It includes everything from a “Townie Ride” open to everybody to amateur and professional level criterium events. 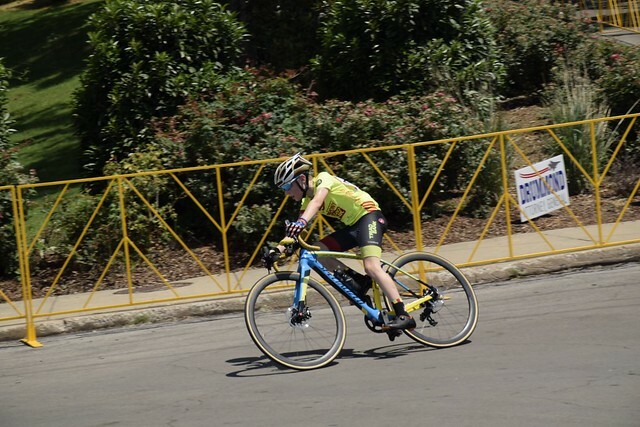 A criterium race, I’m told from Wikipedia, is a race on a short course consisting of closed off city streets. The race is a set number of laps. In other words they go around and around. 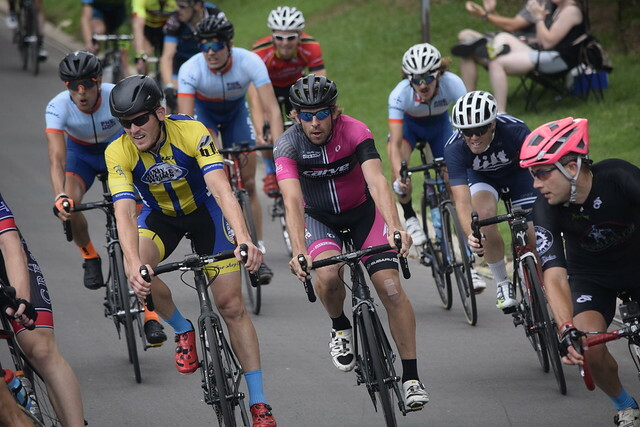 The formal name for the Crybaby Hill event is the “River Parks Criterium.” It is brutal. 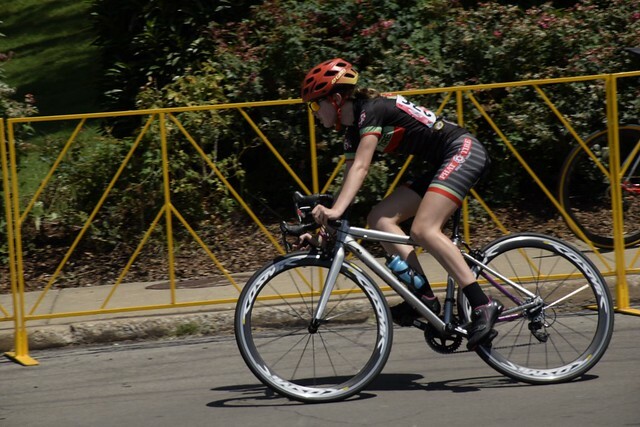 The riders start on Riverside drive and go for a short while and then climb up a steep hill and then make a right turn and then back down to Riverside drive down a very steep hill and then a greater than 90 degree turn. And then they repeat the lap, over and over. It looks brutal. 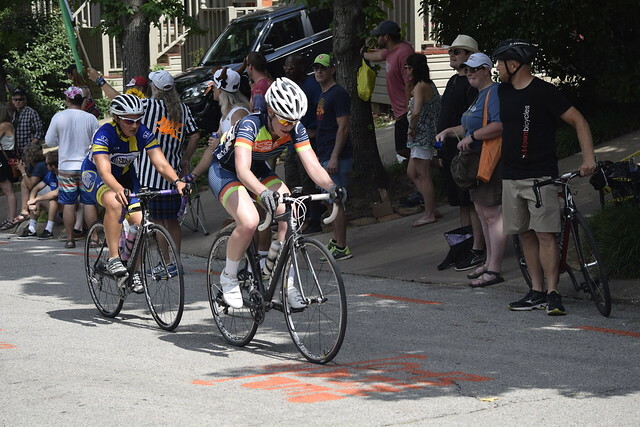 Check this Tulsa World link for the story behind the Tulsa Tough races and Crybaby Hill. They have classes all the way from youth to old guys and gals and professional levels. All sorts of very skinny yet muscular people speaking foreign languages this week in Tulsa. Crybaby Hill is also a party. Check here for the origin of the name (if you didn’t before). 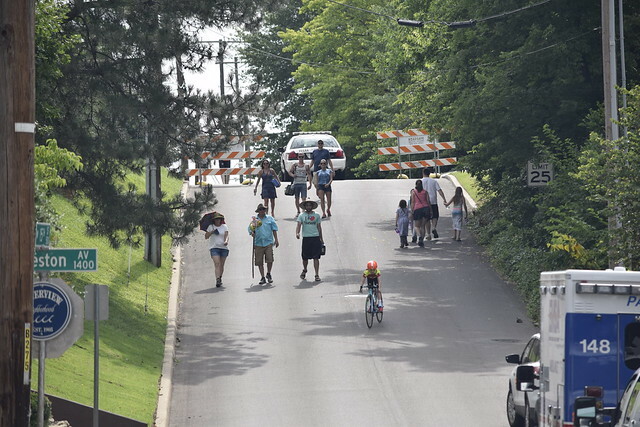 Basically people get to the top of the hill and cheer the riders on. I left today before it really got crazy. Next year I’m staying for the whole thing. 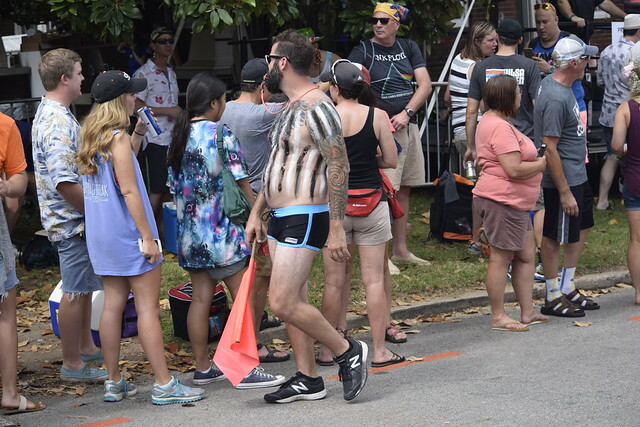 People wear strange outfits to the event. 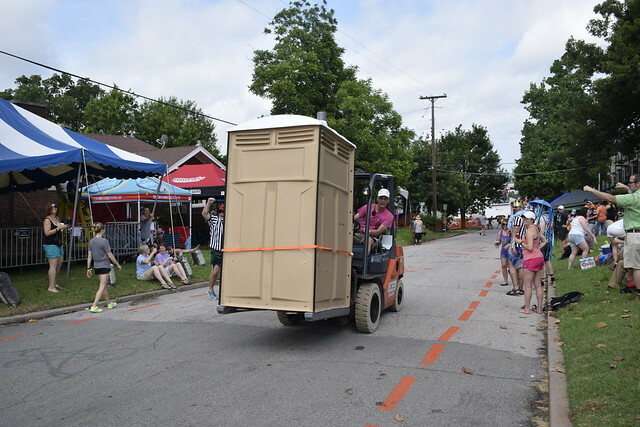 In between laps the contractor handing the portapotties was racing to finish the installation. Everybody was yelling “clear the way for the *******. The orange lines are where the spectators are supposed to stay behind. They had to put those in because in years past, from what I’m told, the gap the riders could ride through got narrower and narrower as the day went on. My favorite sign. 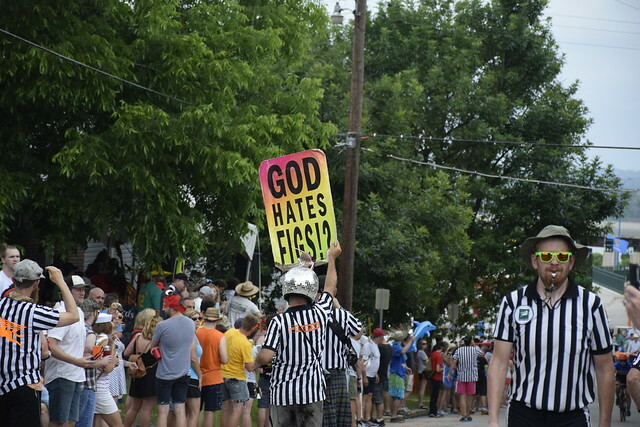 Take that Westboro Baptist so called Church. The guys in the striped shirts are the supposed to keep everybody behind the orange lines. They enjoy their jobs. 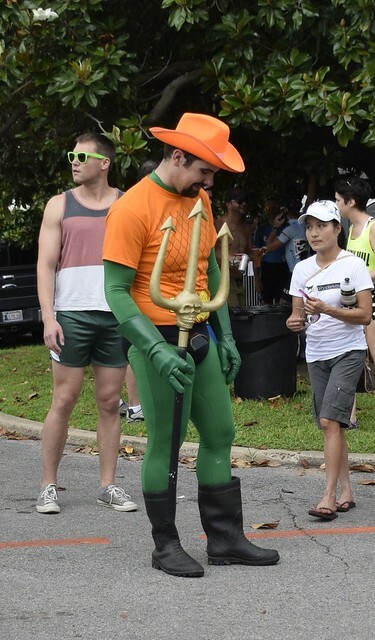 The theme was “Under the Sea” so I guess that makes this guy King Neptune or something. I’m not sure what she was supposed to be. And some more characters. Notice the baby’s for sale. This is Crybaby Hill after all. 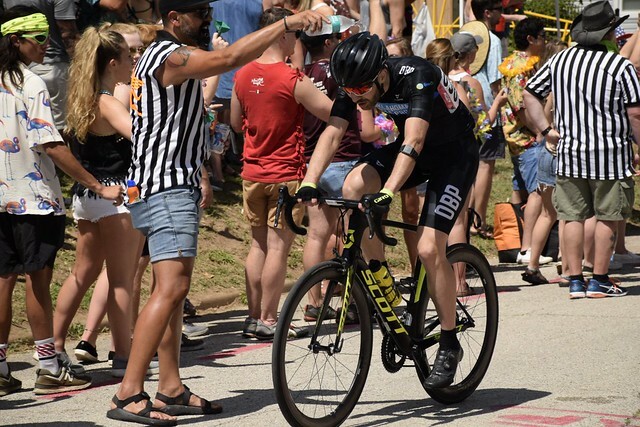 This is a brief video of the scene at the top of the hill where the riders are just about tuckered out and the crowd is cheering them on with cowbells, whistles, sirens and beer. And this is a video at the bottom of the hill where they have to make a greater than 90 degree right turn on a steep downhill. You’d better have a precise line and good brakes to get through this unscathed. Anyway a good time was had by all. And bikes were raced. 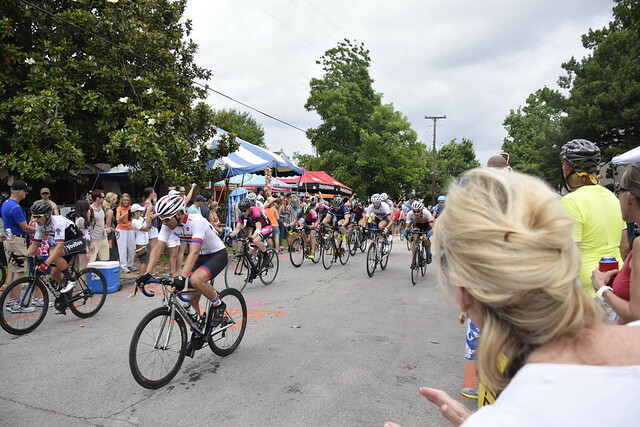 This entry was posted in Our World Tuesday and tagged Bike Races, Events, Fun Times, Happenings, Life, Our World, Tulsa, Tulsa Tough on June 14, 2015 by Alan Bates.